The preliminary results of the comparative analysis of the vertical distribution within the Noctuoid moths of the central parts of the mountain ridges Kirgizsky, Dzhumgaltoo and Fergansky are presented. Within all three ridges 346 species of Noctuoid moths were detected: 246 species in Kirgizsky Mts., 210 species in Dzhumgaltoo Mts. and 164 species in Fergansky Mts. The vertical distribution as follows: lowlands of Kirgizsky Mts. 134 species, Dzhumgaltoo Mts. 85 species, Fergansky Mts. 93 species; middle mountains of Kirgizsky Mts 114 species, Dzhumgaltoo Mts. 191 species, Fergansky Mts. 125 species; highlands of Kirgizsky Mts. 52 species, Dzhumgaltoo Mts. 96 species, Fergansky Mts. 50 species; superhighlands of Kirgizsky Mts. 9 species, Dzhumgaltoo Mts. 17 species, Fergansky Mts. 12 species. These faunas not in general nor by the vertical zones are unsimilar, except the lowlands of the Fergansky and Dzhumgaltoo Mts. The arealogical structure of studied fauna comprises 8 types of areas within 2 complexes of areas. As higher located the vertical zone, as lower in it is the amount of species with wide area types; the same is about the fauna’s core. Capinera, J.L. (2001). Handbook of vegetable pests. San Diego, San Francisco, New York, Boston, London, Sydney, Tokyo: Academic Press. 650 p.
Fibiger, M., László, G.M., Ronkay, G., Ronkay, L., Speidel, W., Varga, Z., Wahlberg, N., Witt, T.J., Yela, J.L., Zahiri, R., Zilli, A. (2011). Lymantriinae and Arctiinae including phylogeny and checklist of the Quadrifid Noctuoidea of Europe. Noctuidae Europaeae. Vol. 13. Sorø: Entomological Press. 448 p.
Fry, R., Waring, P. (1996). A guide to moth traps and their use. The Amateur Entomologist, 24, 1–60. Knyazev, S.A., Dubatolov, V.V., Ponomaryov, K.B., Tepluokhov, V.Y., Kholodov, O.N., Rogalev, V.V., Maranik, V.V. (2010). Owlet mots (Lepidoptera, Noctuidae) of the Omsk Province. Amurian zoological Journal, 2 (2), 148–183 (in Russian). Knyazev, S.A., Pekarsky, O.N., Marusov, A.A. (2012). New records of Phidrimana amurensis (Staudinger, 1892) (Lepidoptera: Noctuidae) in the European part of Russia. Eversmannia, 29-30, 91 (in Russian). Korb, S.K. (2012). Zoogeographical analysis of the vertical structure of the butterfly fauna of the North Tian-Shan (Lepidoptera: Rhopalocera) and the questions of the faunagenesis of the Middle Asia. Caucasian Entomological Bulletin, 8 (2), 283–296 (in Russian). Korb, S.K. (2005). Genesis der Tagfalterfauna Bergmittelasiens: Analyse, Problemen, Rekonstruktion. Nischnij Novgorod: Korb Verlag. Korb, S.K., Matov, A.Y. (2016). Vertical distribution of the Noctuoid moths in the central part of Kirgizsky mountain ridge (North Tian-Shan) (Lepidoptera: Noctuoidea). Eversmannia, 45-46, 68–72 (in Russian). Matov, A.Y., Anikin, V.V. (2012). Additions to the owlet moths fauna (Lepidoptera, Noctuidae) of the Khvalynsk National Park in the Saratov Province. 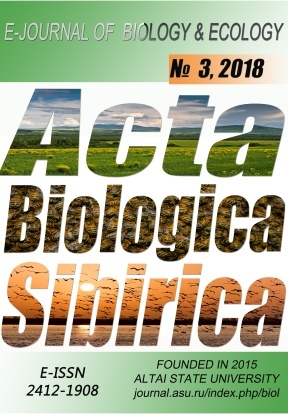 Entomological and parasitological research in the Volga region, 12, 22–25 (in Russian). Nekrasov, A.V., Poltavsky, A.N., Rybin, S.N. (1988). Owlet moths (Lepidoptera, Noctuidae) of the Kirgiz Soviet Socialistic Republic. Entomological research in Kirgizia, Frunze, Ilim, 27–61 (in Russian). Steshetkin, Y.Y. (1981). Analysis of the subalpine fauna of butterflies (Lepidoptera, Rhopalocera) of the central part of the Peter the Great mountain ridge. Zoological Journal, 60 (6), 856–865.